Your DCC PTA Board voted to present local units with the following Resolution On Arming Teachers. We are fulfilling our mission as a child advocacy organization and need your help. Please review the resolution with your general membership and hold a vote. We will then do the same at our April General Meeting (4/24) where you can let your local unit’s voice be heard. If the resolution passes, it will be presented to the DCPS School Board at their May meeting. Please contact us with any questions. Whereas teachers carrying guns could be overpowered by a student or a group of students, and the weapons could fall into the wrong hands, be it therefore.. Resolved that the Duval County Council of PTAs supports the employment of armed School Resource Officers (SROs) as the only armed personnel to aid in the safety of our students. Thank you for your continuing interest in Legislative session 2018! This past week, the House has been pushing through HB 7055, which is a train bill similar to HB 7069. This legislation is steamrolling several bills into one, each of which should be heard on its own merit. HB 311 and HB 427 are two good pieces of legislation that have yet to be heard in committee. This new legislation, respectively, provides alternative pathways to a standard high school diploma and will eliminate unneeded testing by allowing school districts to set teacher salary schedules removing the merit pay requirement currently in law. The Florida PTA urges you to call your House Representative and urge them to support or co-sponsor HB 311 and HB 427. 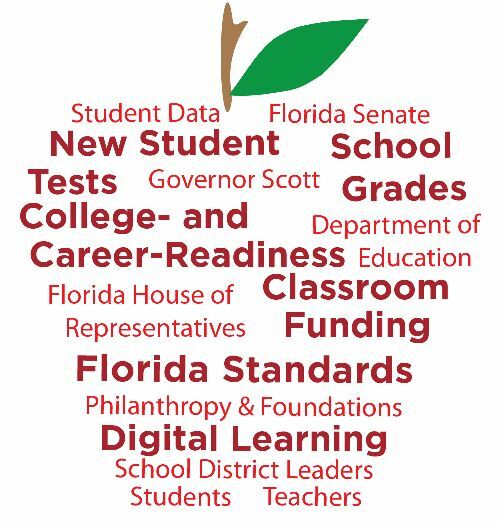 Learn about the education priorities of key statewide organizations and policymakers, the budget outlook and the latest education priorities from Tallahassee in this no-cost, one-hour webinar open to those interested in Florida education issues. Click HERE to register and receive login information. Join the Jacksonville Public Education Fund at a public forum on December 4 to discuss improvements to public education. Parents/caregivers and middle/high school students will have a great opportunity to give their ideas about how we can improve public education. The Duval County Public School Board has voted to join a proposed lawsuit that will challenge the constitutionality of a controversial education law the Florida Legislature passed this spring. Are you wondering what all of the fuss is about? Florida PTA has provided a concise and informative summary of HB 7069, outlining the damaging aspects of this law to the public education system and where the State Legislature is mandating that your Duval County tax revenue be spent. We urge all Duval residents to take the time to familiarize themselves with this issue and contact your lawmakers to let you opinion be heard.